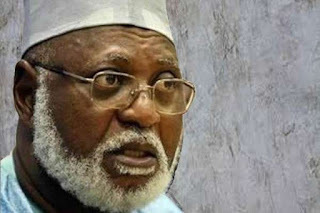 A former Military Head of State, General Abdullsalami Abubakar has said the major challenge facing Nigeria as a nation now was national unity and cohesion. General Abubakar, who spoke while responding on behalf of those who received awards from Modibbo Adama University of Techbology, Yola, observed that in as much as some of the agitations were legitimate, national unity and way forward should be uppermost in the minds of the agitators. He said, “Presently, different agitations ranging from restructuring, resources control, self- determination to state police among others are too much for the country to contend with at a time when the economy is not buoyant. “Such agitators should not be based on sentiments and sectionalism. It should be agitations that will be cherished by all the sectional, ethics, religious and other collaborators. “If there is no peace, there will be no Nigeria and if agitations are based on sentiments whatsoever, it breeds sentiments and hate speech leading to unrest.